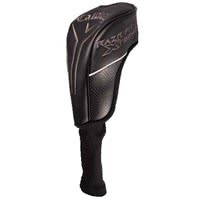 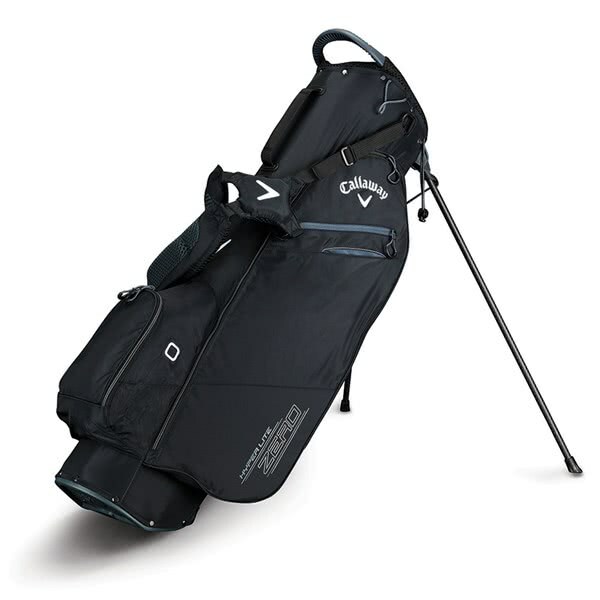 The Callaway Hyper-Lite Zero Stand Bag has been designed to provide the carrier with the ultimate golf bag performance and comfort. 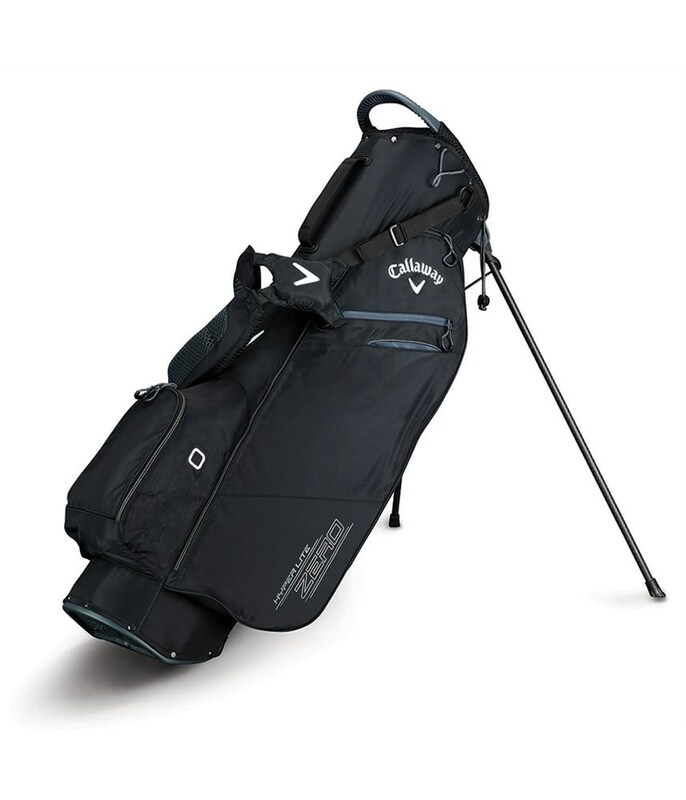 Callaway have used a ultra-lightweight nylon construction that is 25% more durable than the previous model to create a bag that weighs 1.13 kg empty. 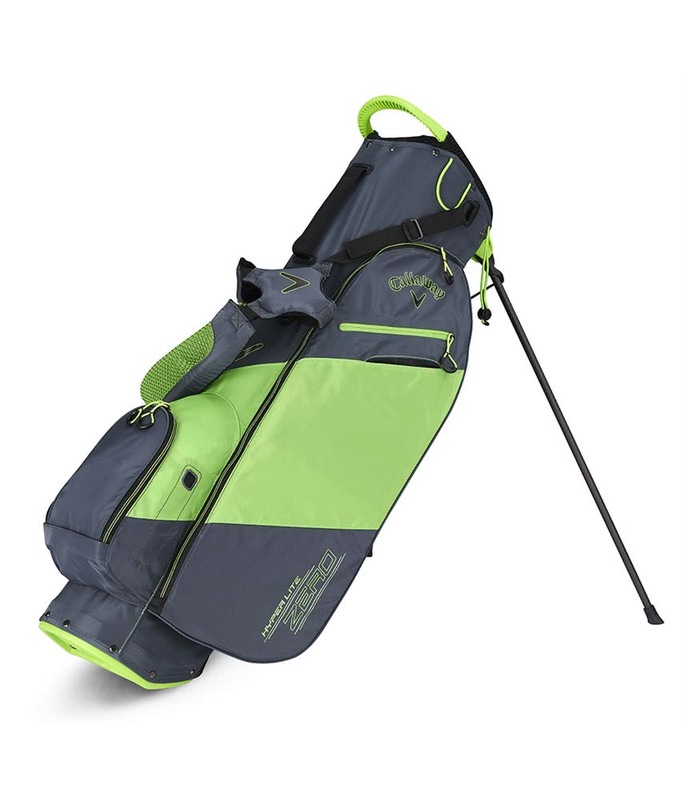 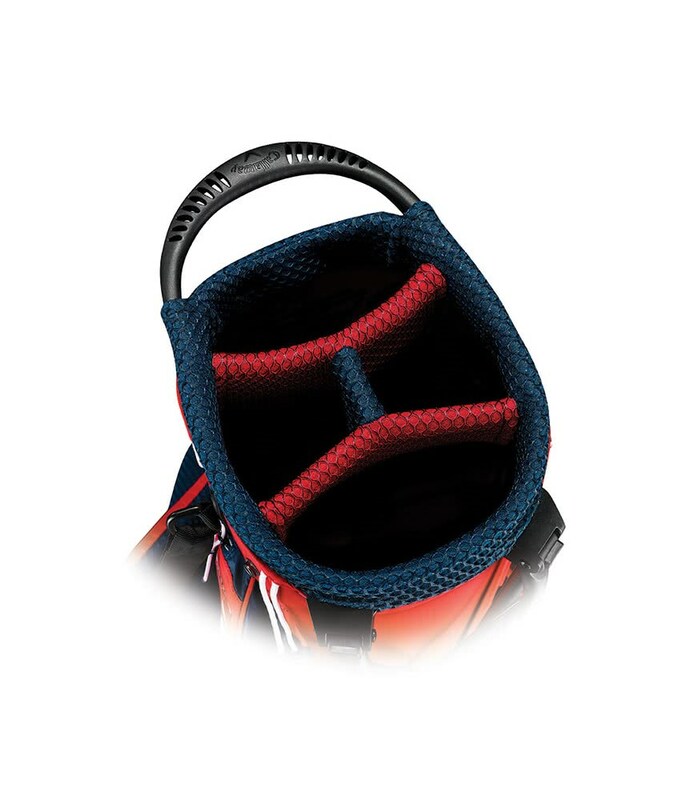 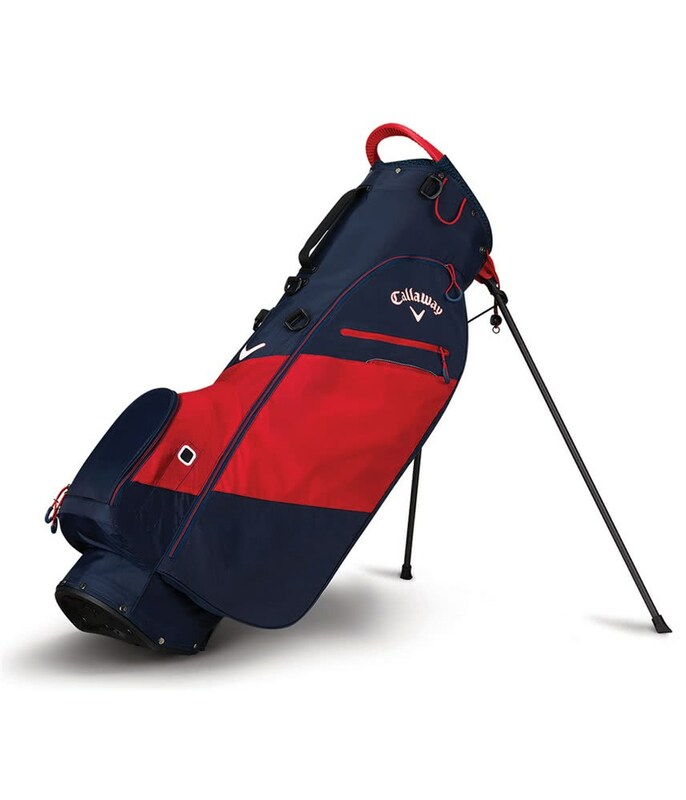 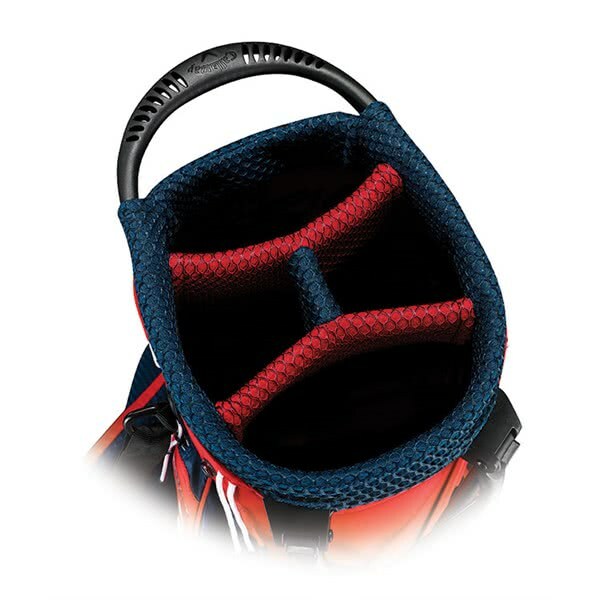 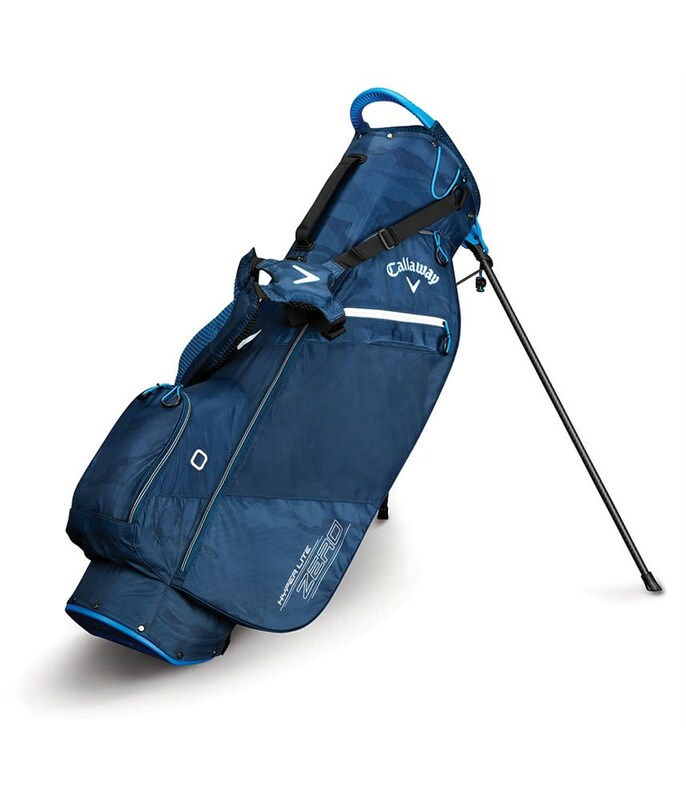 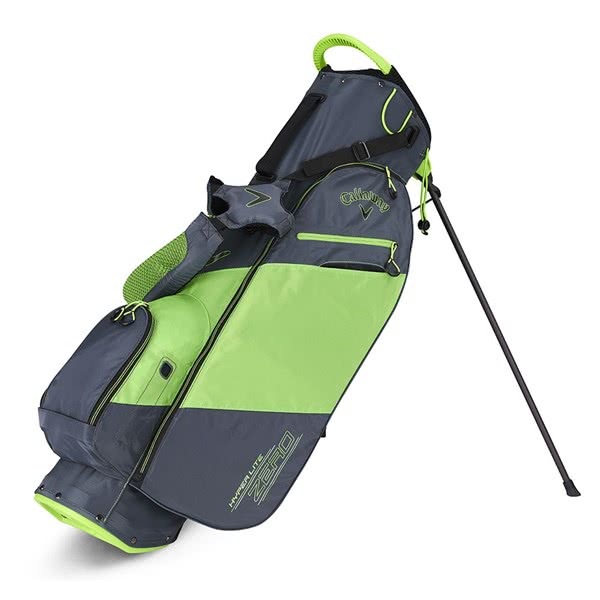 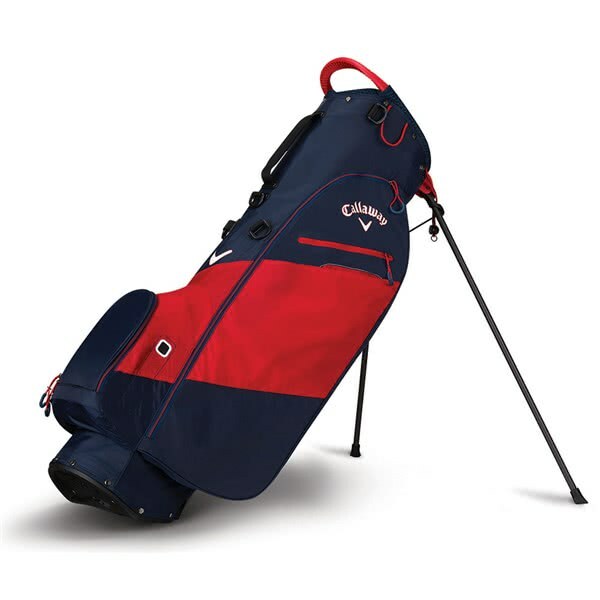 A 4-way top featuring full length dividers delivers excellent club management and protection as well as preventing club crowding at the base of the bag. 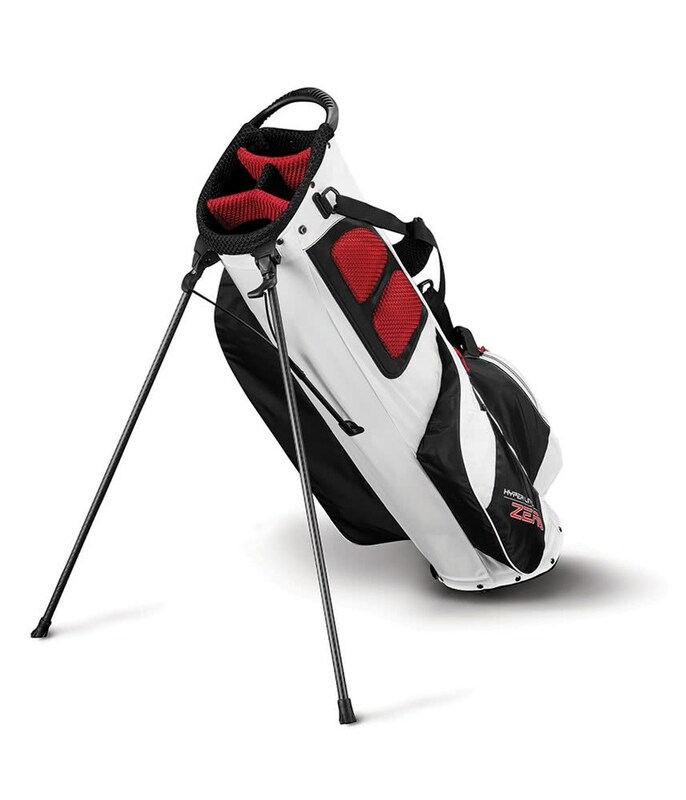 An integrated grab handle aids lifting and lowering to and from the shoulder. 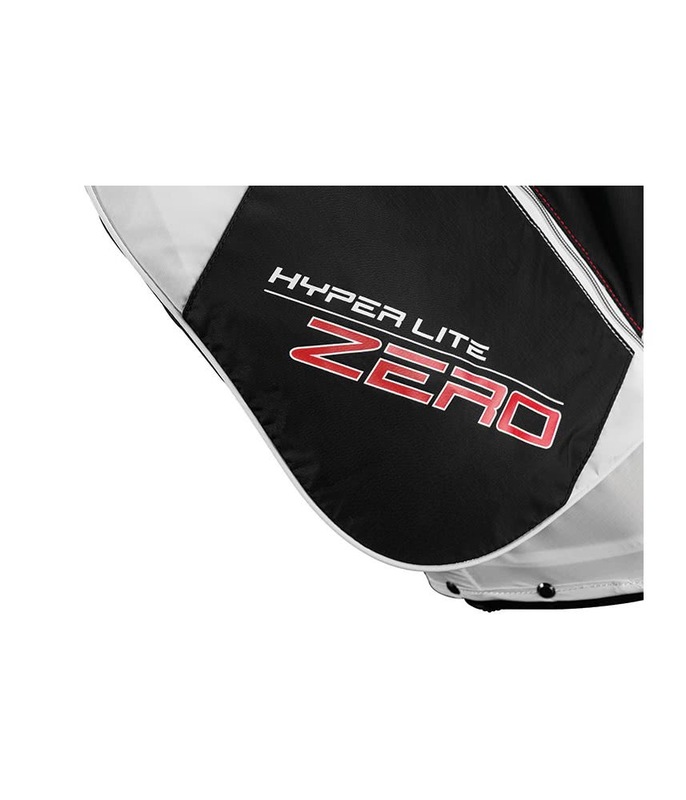 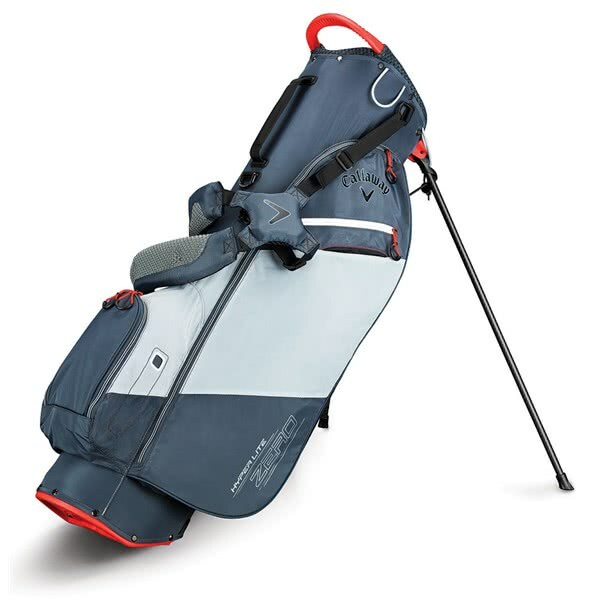 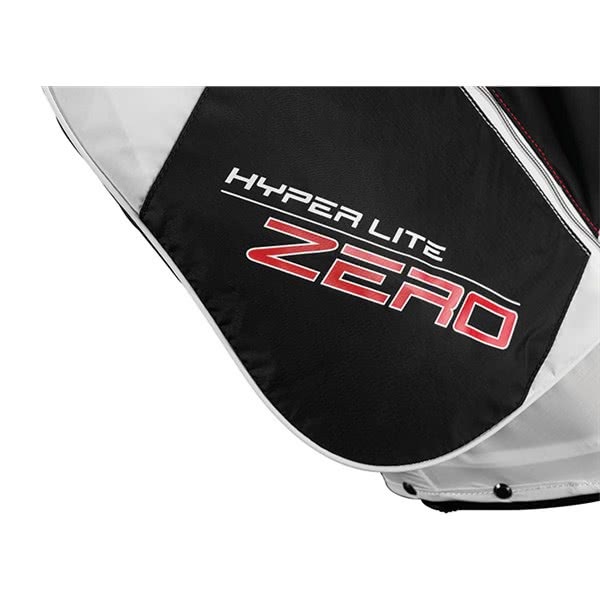 Callaway have attached their premium double strap technology to the Hyper-Lite Zero Stand Bag to ensure you get a well balanced and comfort carry. 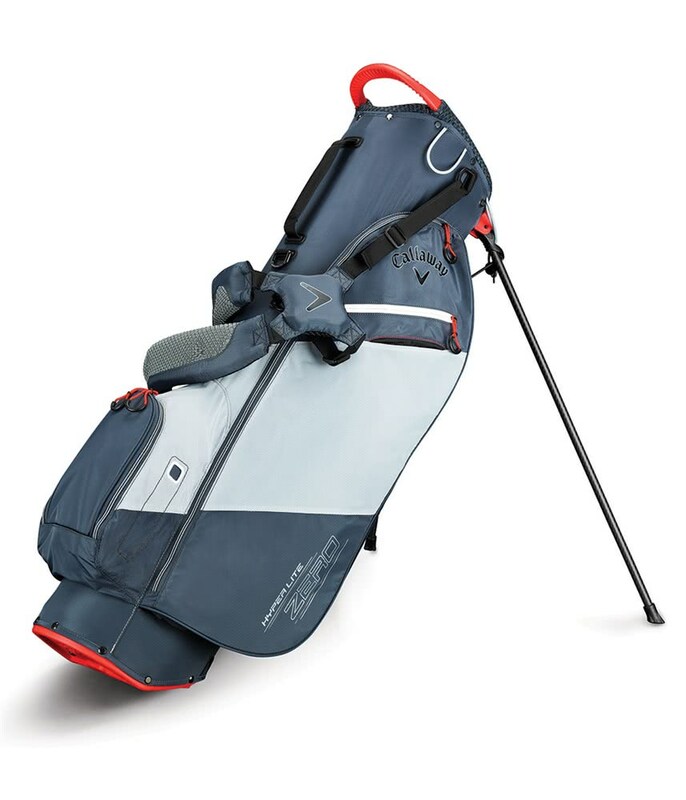 A top mounted stand mechanism featuring carbon fibre legs and non-slip pads increases stability when the stand is activated and helps reduce the overall weight. 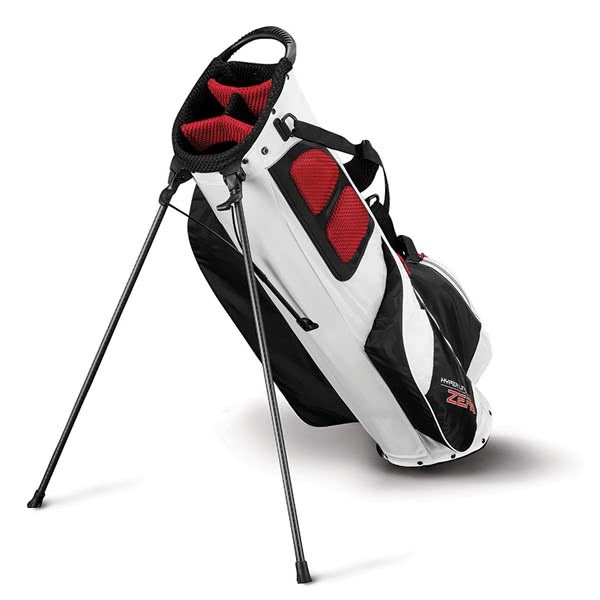 The legs also lock away to enable you to use a trolley without restricting access into any of the pockets.